Moving teeth to better positions through orthodontics not only improves dental function and health, it can vastly improve your appearance. But to achieve a result that continues to be attractive as you age requires thorough planning and forethought. That’s because your body continues to change all during life. While the most accelerated growth happens in childhood and adolescence, even older adults continue to change, especially in their facial features. A good deal of research has helped identify and catalog these changes, which orthodontists now incorporate into their corrective treatments for poor bites (malocclusions). For example, the lips grow until they reach their maximum thickness in girls usually around age 14 and boys age 16. But researchers have also found lip thickness gradually diminishes for most people beginning in their late teens until about age 80. In other words, the appearance of your lips in your elderly years will be vastly different than in your teens. The same holds true for other facial features: our facial profile flattens as the nose becomes longer and more pronounced while the lower part of the face shortens. Using this knowledge of the effects of aging on the face, orthodontists now attempt to anticipate “where” the facial features will be decades down the road. This projection can help them design a treatment plan that takes advantage of these projected changes. 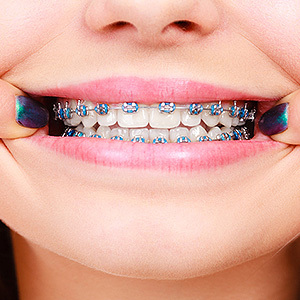 For example, orthodontists may begin treatment before a patient’s teenage years with techniques that serve to guide jaw growth. Keeping that development on track will help if or when braces may be needed a few years later. Guiding jaw growth will help shorten the distance of where a patient is in their orofacial development and where they should be later in life with normal development. Orthodontists aren’t predictors of the future. But armed with an understanding of the aging process, they can help patients head in the right direction to produce a smile and facial appearance that will endure well into later life.